The loss of a loved one is a terrible thing to experience. But the anxieties and changes produced by loss are multiplied when loss co-exists with uncertainty as opposed to some sense of closure or narrative. The two women of Dying City and Two Rooms have this largely in common– they face grief in uncertain circumstances. In Two Rooms, Lainie struggles with the inefficiencies of Department of State and the American media in her fight to get her husband, an abducted American teacher, out of Beirut. Her guilt and frustration makes her a recluse and introduces her to the fickleness of American diplomacy and its disregard for human life. Kelly of Dying City, faces something of a different challenge when her husband’s identical twin makes an impromptu visit to her apartment near the anniversary of his death in Iraq. Her uncertainty stems from the fraught status of her marriage before her husband left for combat, and what effect it might have had on his death. Dying City by Christopher Shinn and Two Rooms by Lee Blessing were written twenty years apart and take place in two different wars. They’re also quite different in style. Dying City is more of a character-driven piece, reflecting on life in post-9/11 New York and how the characters deal with the unknown. Two Rooms hangs on to plot more, to the ins-and-outs of Lainie’s journey, though it can often serve some very stylized speeches. Yet The Seeing Place’s decision to play them in rep reveal more similarities about the two women’s journeys. Both retreat from the outside world, taking solace in a more heightened and reclusive interior life. They both are hesitant to accept the aid of other men seeking to help them. A journalist named Walker waits for months before Lainie allows him to publish any material. And Kelly changes her phone number to not have to get calls from her brother-in-law, Peter. Both men also fail to understand the women’s heavy anxieties. Walter cares for Lainie, but often undermines his friendship with careless urgings. Peter knows just about every button to push, forcing Kelly to revisit her grief. There’s a claustrophobic feel to both plays as well. Not only does the action rarely leave the two women’s rooms, but there’s also the feeling that there’s little left for outside of it. They’re essentially trapped with their grief. Both women seek the truth, and are willing to face it knowing the risks they take. The portrayals of the characters are sensitive to their realities. The productions look more closely at the complexities of their situations instead of boiling them down. The pacing might feel a little clunky at times, especially in Two Rooms, whose script could have taken more opportunities to expose a grander sense of Lainie’s changed life. Lee Blessing instead opts to confine the play to Lainie’s room and Michael’s prison cell. For example, even though she meets with the Walker several times, we hardly ever hear what he writes about her or see them conducting an interview. She also talks about going outside and beginning a new job, but I think it would have been extremely revealing to show how she coped with it. 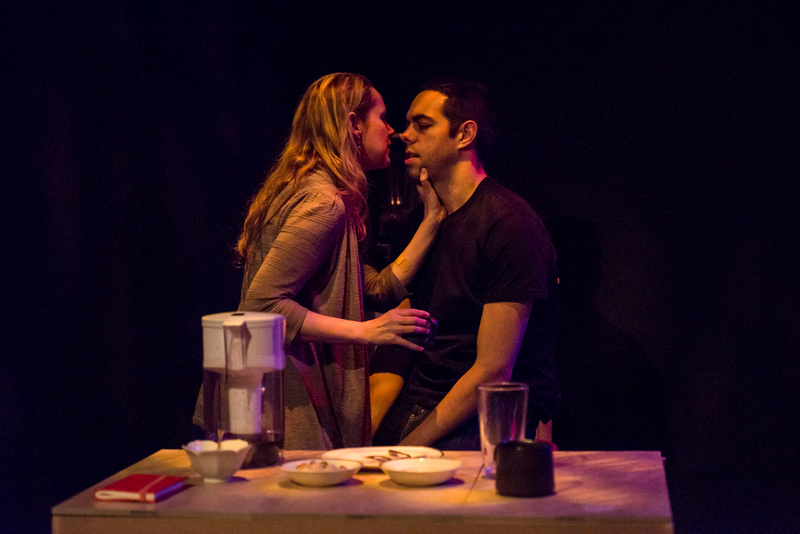 Both plays are powerful; they’re a concentrated dose of what it is like to lose a loved way to forces beyond our control, and all the anger that accompanies it. 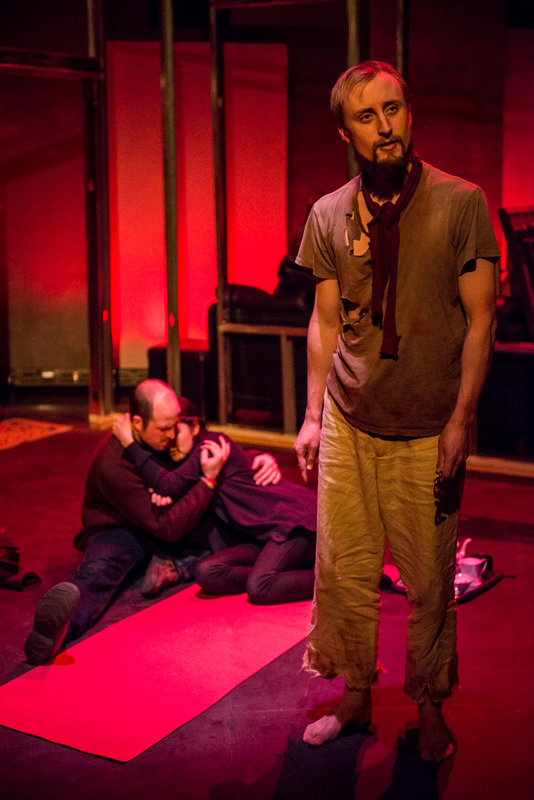 Dying Cities and Two Rooms play through March 9 at The Seeing Place @ ATA’s Sargent Theater. Tickets are $12 and can be found here.